What's on Netflix > Netflix News > Are the Jack Reacher movies on Netflix? Are the Jack Reacher movies on Netflix? Lee Child, the author of the best selling book franchise ‘Jack Reacher’ has just released his 22nd book following the war vet. But are either of the film adaptations available to watch on Netflix? The first book in the Jack Reacher franchise was released by the British author Lee Child all the way back in 1997. The book introduced Reacher as a former major in the United States Army Military Police Corps, who since leaving the army roams around America as a drifter with a nack of getting in life-threatening situations. Lee Child has roughly released one book every year since 1997 and the series quickly became a best seller. Back in 2012 one of Child’s book titled One Shot was adapted into a feature film starring Tom Cruise as Jack Reacher. Although he didn’t match the characters description perfectly many think that Tom did a great job portraying the badass, seemingly invincible character. The first film takes place after a man shoots and kills five civilians using a high-powered sniper rifle, and despite his initial instinct, Jack must prove he’s been framed. Last year Tom Cruise reprised his role in the film Jack Reacher: Never Go Back, based on the novel of the same name. Although the film wasn’t quite as received quite as well as the first, it’s still a great action film deserving of a watch. Now the tough bit, are either of the films available to stream on Netflix? Well in the United States, unfortunately neither of the films are available to stream on Netflix right now. But that doesn’t mean they will never be available. 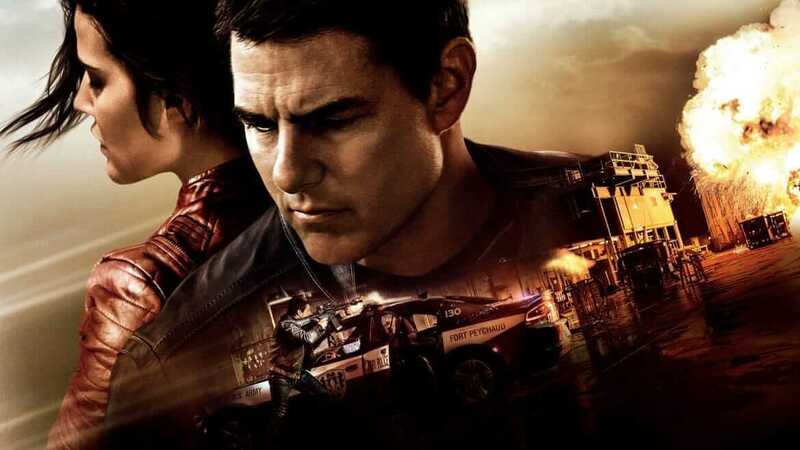 Netflix has an odd relationship will Paramount in the US, they have hosted a few of their titles on and off, so we wouldn’t rule out Jack Reacher coming to US Netflix. If you are a viewer living in the UK, you do have access to the first 2012 film, and many other Paramount productions. Because of this, we think it’s more than likely that ‘Never Go Back’ will come to UK Netflix in the future. We can roughly estimate that the second film will reach your screens sometime in 2018. But if you are watching from Canada, you won’t need to wait till 2018. The 2016 sequel Never Go Back is available to stream right now. If you are desperate to get your action film fix, both are available to view on Google Play, NowTV and Youtube Movies. Have you read the books, or just seen the films? We would love to know in the comments below.